People who love wine tend to enjoy the finer things in life: great food, fine art, exciting travel. In turn, these pursuits contribute to the making of great wine, and perhaps no other winery demonstrates this symbiotic relationship better than Rueda’s Bodegas Mocén. 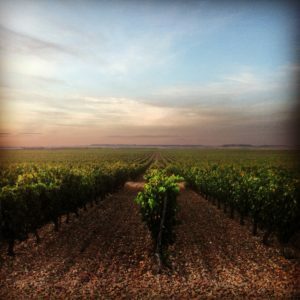 Drive about two hours northwest from Madrid and you’ll reach the town of Rueda, where Bodegas Mocén occupies an expansive estate of stone and brick, complete with Castilian courtyard and terracotta roofs. The Denomination of Origin Rueda (D.O. Rueda) was established in 1980 and the appellation sits on a high plateau between 2,500 and 3,000 feet in elevation—about five times the altitude of the average vineyard in Napa Valley. The region is known for cold winters, short springs and hot summers that create a rugged environment for the vineyards, but one that forces tremendous flavor into the grapes. Wine has been made in Rueda since the 11th century, and the history of Bodegas Mocén goes back to the 1400s. But the winery didn’t enter the modern era of winemaking until 1988, when it was purchased by José Luis Ruiz Solaguren, a successful restaurateur from Madrid. His restaurants, called “José Luis,” are well known and highly regarded in Spain’s capital city. José Luis did not come from a family of wealth or higher education, but he was in all aspects a modern renaissance man. He was 60 when he bought the winery, with its ancient and extensive underground cellars, and began a complete restoration that continues today. Currently, the winery’s vineyards total about 750 acres, half of which are planted with the region’s prized Verdejo grape. Varieties such as Viura and Tempranillo also are planted, but it is the Verdejo wines that have won awards at several international competitions in New York and San Diego. While José Luis understood that great wine is made in the vineyards, he considered wine an element of culture and wanted to integrate art, literature and music into the property, too. Culture became his and the winery’s leitmotif, making Bodegas Mocén one of Rueda’s most prominent tourism sites, popular among visitors for its extensive library and art collection. The library was no small undertaking: it houses 22,000 volumes of books and manuscripts going back to the 14th Century, and Camilo José Cela, the Nobel Prize-winning writer, presided over its inauguration in 2000. The gold-leafed, leather-bound pages that grace its dark wooden shelves primarily focus on history, medicine, food and viticulture. 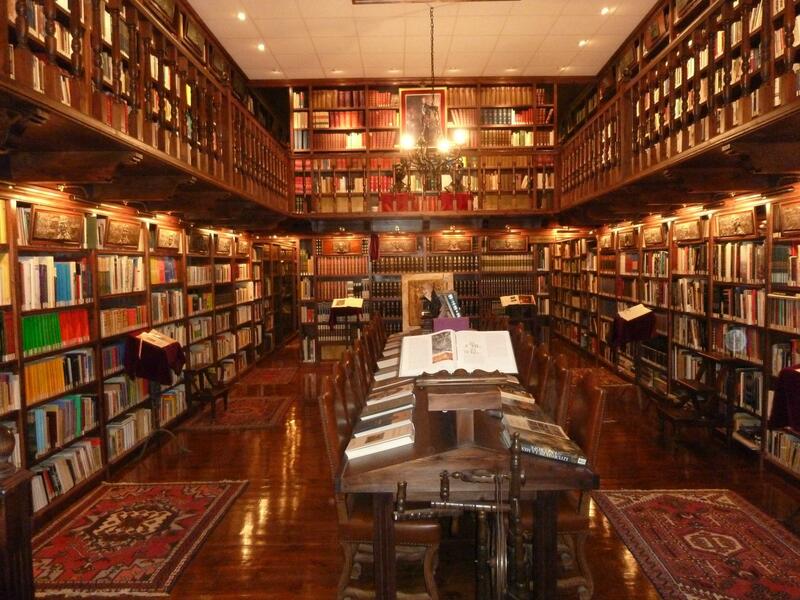 While the library is impressive, the winery’s art collection really distinguishes the estate. It’s not unusual to find a museum in a winery, but they usually feature wine artifacts, explore wine history or display an extensive collection of corkscrews. By contrast, the museum at Bodegas Mocén represents José Luis’s efforts to create a collection of historical significance outside of the realm of wine. There are nearly 900 works of art on display, including some 450 works by the likes of Dalí and Picasso, as well as historical paintings from the 15th and 16th centuries in the Mannerist style so popular then in Spain. Sadly, José Luis died in 2013 and never achieved his goal of creating a music hall where both locals and tourists could attend concerts by world-class musicians, but Bodegas Mocén stands as a monument to the convergence of great wine, literature, art and music. José Luis believed that an educated society could appreciate that making great wine is an artistic endeavor in itself—and that those who dedicated themselves to making exceptional wine could be at the forefront of creating a progressive and culturally enriched society. Learn more about the wines of Bodegas Mocén here.